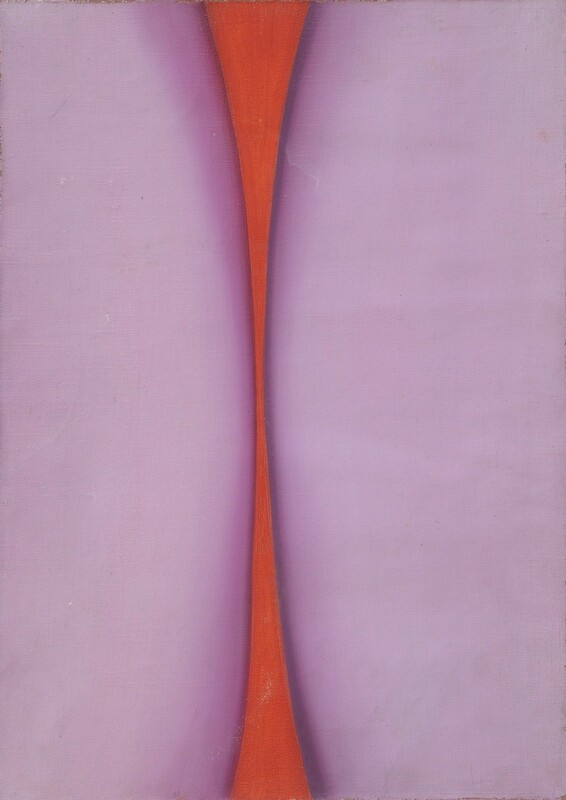 Purple breasts, orange thighs, green mountains, pink butts -- these are the amorphous subjects of artist Huguette Caland. The Lebanese artist, the daughter of the nation's founding president, has seduced the world at large with her modernist renderings of tangled bodies as soft landscapes without beginning or end. 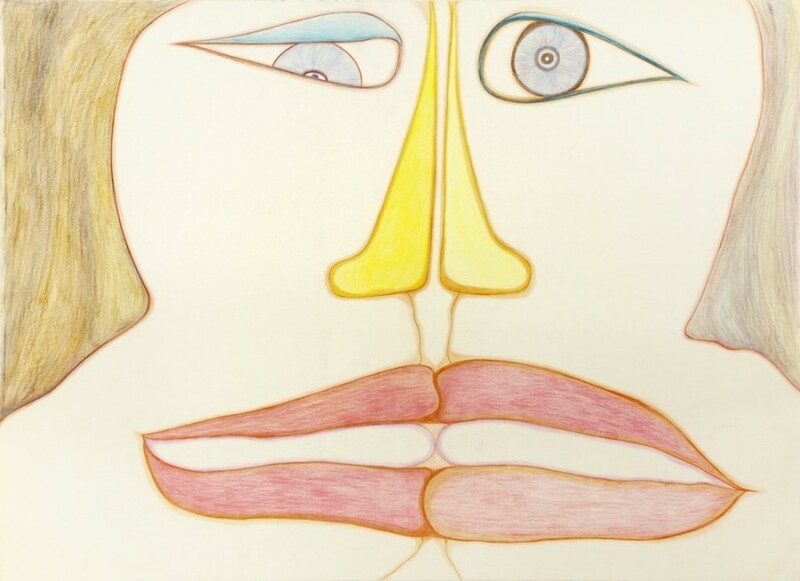 The artist's pastel erotica is now on view at New York's Lombard Freid, part of "Huguette Caland, Early Works: 1970-85." Caland made art in Beirut, which, at the time, was characterized by its cosmopolitan energy, buzzing with artists, intellectuals and revolutionaries. The works on view at Lombard Freid materialized during this period of cultural vitality -- their risqué nature especially astounding given her father's position. Caland aligned sexuality, nature and identity in her muffled, minimalist works, creating enigmatic maps of lands and bodies merged in one. Like Georgia O'Keeffe, Caland explores the sublimity of the landscape and the organic nature of the body in one fell swoop. 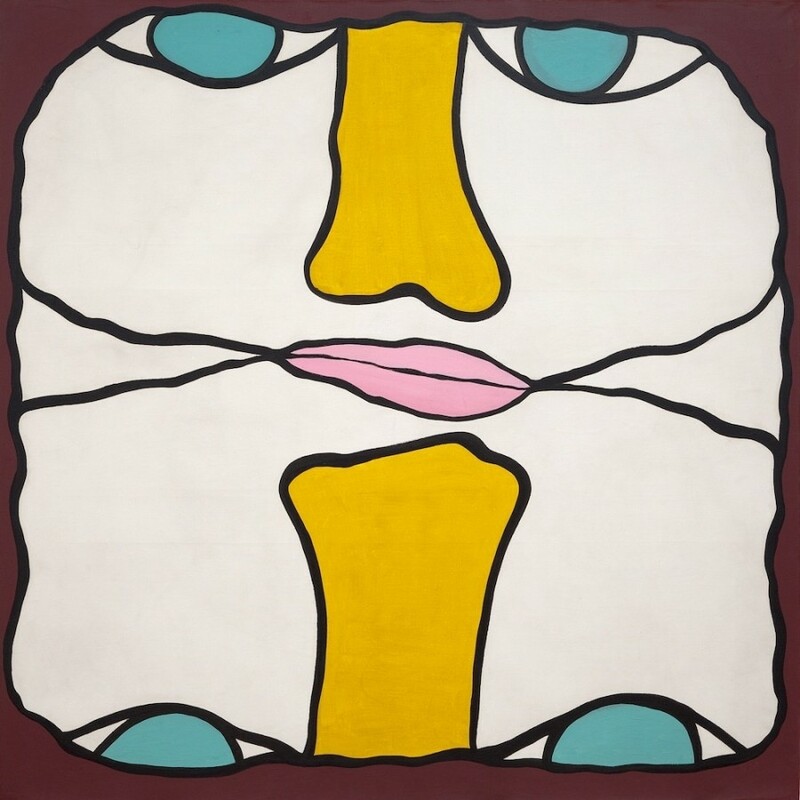 Like Judy Chicago, she inserts a feminine perspective into a modernist conversation of color, shape and form. 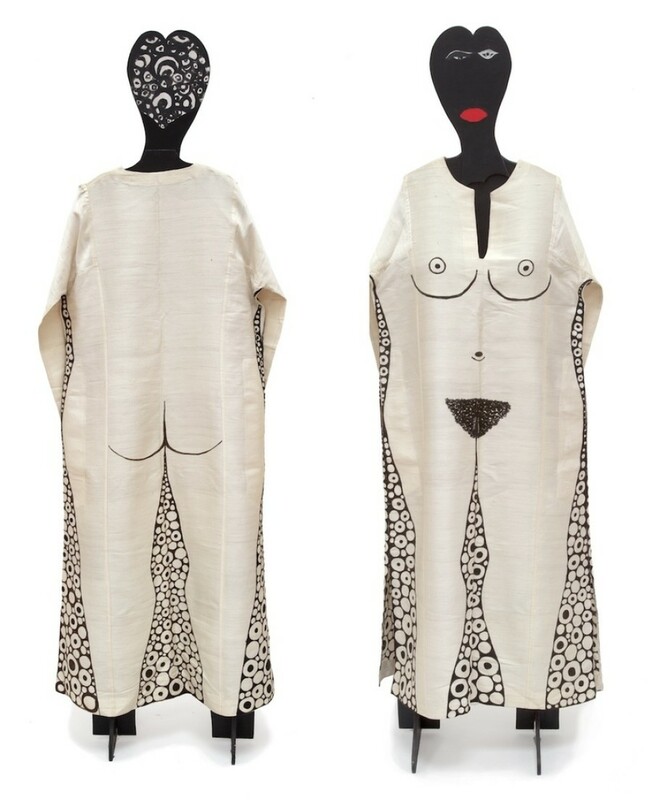 Like Louise Bourgeois, she inserts a playful wink into her suggestive imagery. And like Dorothy Iannone she turns genitalia into the stuff of fine art. Though she's widely under-acknowledged, Caland stands with the best of them when it comes to the early artistic revolutionaries of female sexuality. Also on view are Caland's caftans, coats made from 1970-1975, that the artist both designed with Pierre Cardin and also wore. The avant-garde outerwear combine subtle design with flagrant innuendos -- think Yoko Ono's Opening Ceremony line turned up to 11. The surreal ensembles show the artist's ability to combine blatant eroticism and a bawdy sense of humor, without apology. "There was a moment where my mother just removed herself from the world around her and started working all day, every day," Caland's daughter Brigitte explained to The National. "She hasn’t stopped since." See the early years where it all began at Lombard Freid before December 20, 2014. Get a preview of the exhibition below. "Pedernal 1945' by Georgia O'Keeffe. Image: Georgia O'Keeffe Museum.